I grew up a video game nerd, at home in big cities. Any free time I had was spent locked away in my room staring at a TV displaying the second dimension’s state-of-the-art graphics. Computers only exacerbated my addiction. 3D graphics came around hooking me on games like Duke Nukem 3D, Quake, and many more. I was good too. A future in video games in a big eastern city seemed inevitable. And then, the day after graduating college, I traveled west for the first time. I had never seen so much open land. The concept of public land was as alien to me Jupiter’s atmosphere. Preconceptions I had had about the American west were shattered open. My traveling partner and I explored the American West over the course of three self-discovering weeks, first making our way across the southwest directly for the Pacific Ocean. Before we got there, we realized we missed the Grand Canyon. We swung back around and were forced to go through a national park, another piece of public land that I had never stepped foot in, nor had even heard about. Zion National Park was reluctantly on our route so we could once and for all see the Grand Canyon. My jaw dropped around every turn. I had never seen anything so spectacular. At the age of 26, this was my first national park, and it changed my life. More only followed on the trip. Upon returning, I was drawn out west. I packed up and moved to Phoenix, Arizona where I spent my first two days playing video games, as usual, and then began noticing the mountains around the area. I went out to see what was there and found a part of me hidden away all those years. I wanted to be in the mountains, exploring, seeing new views, discovering secrets around each turn. I gradually began exploring Arizona from beyond the city, always eager to find each road’s secret treasures. The outdoors had hooked me in. The change occurred literally overnight. Video games had taken a backseat in the blink of an eye of my lifetime. 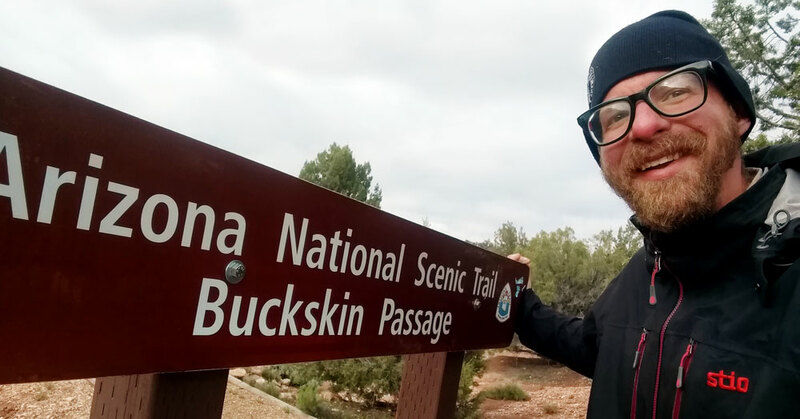 I set out to do as much hiking and exploring as I could throughout the state of Arizona, and eventually, beyond. Four years after moving to Arizona, almost to the day, I packed up once again and found a home in Jackson Hole, Wyoming. Why the change? Endless mountains all around. Endless road trip potential. Conservation minded people inhabiting the land. And of course, abundant wildlife in all corners of the area. In the years since, hiking has become my passion, meditation, and stress relief. It’s how I keep balanced in a busy life. Had I known this site would eventually be created, I would have logged, or at least even documented all my hikes long ago. In the meantime, I’m catching up on as many as I can while also discovering new ones. I currently happily call Jackson Hole my home, where I’m experiencing the area with my wife, who is my inspiration and motivation.